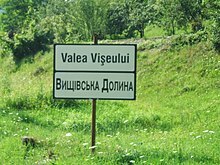 Ukrainian /juːˈkreɪniən/ ( listen) (українська мова ukrajinśka mova) is an East Slavic language. It is the official state language of Ukraine, one of the three official languages in the unrecognized state of Transnistria, the other two being Romanian and Russian. Written Ukrainian uses a variant of the Cyrillic script (see Ukrainian alphabet). The standard Ukrainian language is regulated by the National Academy of Sciences of Ukraine (NANU), particularly by its Institute for the Ukrainian Language, Ukrainian language-information fund, and Potebnya Institute of Language Studies. The Ukrainian language retains a degree of mutual intelligibility with Belarusian and Russian. Another point of view developed during the 19th and 20th centuries by linguists of Imperial Russia and the Soviet Union. Like Lomonosov, they assumed the existence of a common language spoken by East Slavs in the past. But unlike Lomonosov's hypothesis, this theory does not view "Polonization" or any other external influence as the main driving force that led to the formation of three different languages (Russian, Ukrainian and Belarusian) from the common Old East Slavic language. This general point of view is the most accepted amongst academics worldwide, particularly outside Ukraine. The supporters of this theory disagree, however, about the time when the different languages were formed. Soviet scholars set the divergence between Ukrainian and Russian only at later time periods (14th through 16th centuries). 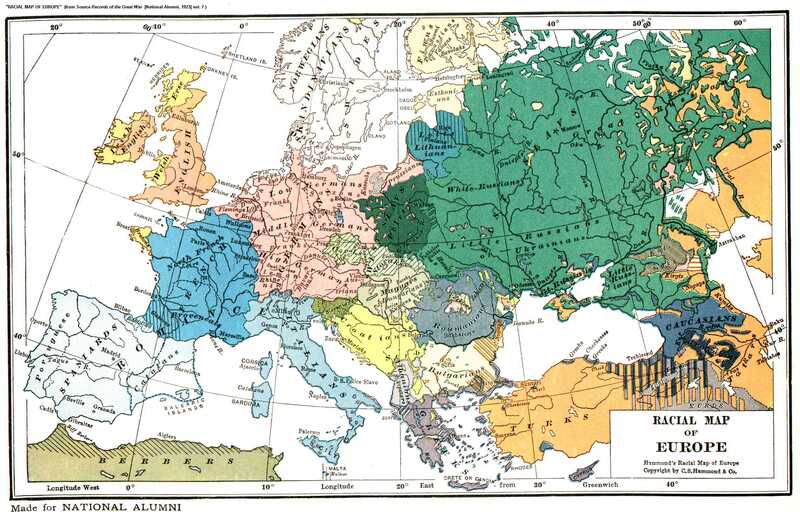 According to this view, Old East Slavic diverged into Belarusian and Ukrainian to the west (collectively, the Ruthenian language of the 15th to 18th centuries), and Old Russian to the north-east, after the political boundaries of the Kievan Rus' were redrawn in the 14th century. During the time of the incorporation of Ruthenia (Ukraine and Belarus) into the Polish–Lithuanian Commonwealth, Ukrainian and Belarusian diverged into identifiably separate languages. Some scholars[who?] see a divergence between the language of Galicia-Volhynia and the language of Novgorod-Suzdal by the 12th century, assuming that before the 12th century, the two languages were practically indistinguishable. This point of view is, however, at variance with some historical data. In fact, several East Slavic tribes, such as Polans, Drevlyans, Severians, Dulebes (that later likely became Volhynians and Buzhans), White Croats, Tiverians and Ulichs lived on the territory of today's Ukraine long before the 12th century. Notably, some Ukrainian features[which?] were recognizable in the southern dialects of Old East Slavic as far back as the language can be documented. Ukrainian linguist Stepan Smal-Stotsky went even further, denying the existence of a common Old East Slavic language at any time in the past. Similar points of view were shared by Yevhen Tymchenko, Vsevolod Hantsov, Olena Kurylo, Ivan Ohienko and others. According to this theory, the dialects of East Slavic tribes evolved gradually from the common Proto-Slavic language without any intermediate stages during the 6th through 9th centuries. The Ukrainian language was formed by convergence of tribal dialects, mostly due to an intensive migration of the population within the territory of today's Ukraine in later historical periods. This point of view was also supported by George Shevelov's phonological studies. As the result of close Slavic contacts with the remnants of the Scythian and Sarmatian population north of the Black Sea, lasting into the early Middle Ages, the appearance of voiced fricative γ(h) in modern Ukrainian and some southern Russian dialects is explained, that initially emerged in Scythian and the related eastern Iranian dialects from earlier common Proto-Indo-European *g and *gʰ. In the 13th century, eastern parts of Rus' (including Moscow) came under Tatar yoke until their unification under the Tsardom of Muscovy, whereas the south-western areas (including Kiev) were incorporated into the Grand Duchy of Lithuania. For the following four centuries, the language of the two regions evolved in relative isolation from each other. 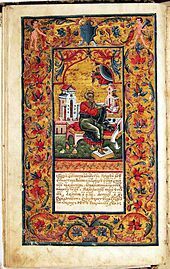 Direct written evidence of the existence of the Ukrainian language dates to the late 16th century. By the 16th century, a peculiar official language was formed: a mixture of Old Church Slavonic, Ruthenian and Polish, with the influence of the last of these three gradually increasing. Documents soon took on many Polish characteristics superimposed on Ruthenian phonetics. Polish rule and education also involved significant exposure to the Latin language. Much of the influence of Poland on the development of the Ukrainian language has been attributed to this period and is reflected in multiple words and constructions used in everyday Ukrainian speech that were taken from Polish or Latin. Examples of Polish words adopted from this period include zavzhdy (always; taken from old Polish word zawżdy) and obitsiaty (to promise; taken from Polish obiecać) and from Latin (via Polish) raptom (suddenly) and meta (aim or goal). Due to heavy borrowings from Polish, German, Czech and Latin, early modern vernacular Ukrainian (prosta mova, "simple speech") had more lexical similarity with West Slavic languages than with Russian or Church Slavonic. By the mid-17th century, the linguistic divergence between the Ukrainian and Russian languages was so acute that there was a need for translators during negotiations for the Treaty of Pereyaslav, between Bohdan Khmelnytsky, head of the Zaporozhian Host, and the Russian state. During the Khazar period, the territory of Ukraine was settled by Iranian (post-Scythian), Turkic (post-Hunnic, proto-Bulgarian), and Uralic (proto-Hungarian) tribes and Slavic tribes. Finally, the Varangian ruler of Novgorod, called Oleg, seized Kiev (Kyiv) and established the political entity of Kievan Rus'. Some theorists see an early Ukrainian stage in language development here; others term this era Old East Slavic or Old Ruthenian/Rus'ian. Russian theorists tend to amalgamate Rus' to the modern nation of Russia, and call this linguistic era Old Russian. Some hold that linguistic unity over Rus' was not present, but tribal diversity in language was. The Polish language has had heavy influences on Ukrainian (particularly in Western Ukraine). 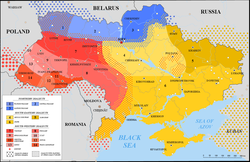 The southwestern Ukrainian dialects are transitional to Polish. As the Ukrainian language developed further, some borrowings from Tatar and Turkish occurred. Ukrainian culture and language flourished in the sixteenth and first half of the 17th century, when Ukraine was part of the Polish–Lithuanian Commonwealth. Among many schools established in that time, the Kiev-Mogila Collegium (the predecessor of the modern Kyiv-Mohyla Academy), founded by the Orthodox Metropolitan Peter Mogila (Petro Mohyla), was the most important. At that time languages were associated more with religions: Catholics spoke Polish, and members of the Orthodox church spoke Ruthenian. In the Russian Empire Census of 1897 the following picture emerged, with Ukrainian being the second most spoken language of the Russian Empire. According to the Imperial census's terminology, the Russian language (Русскій) was subdivided into Ukrainian (Малорусскій, 'Little Russian'), what we known as Russian today (Великорусскій, 'Great Russian'), and Belarusian (Бѣлорусскій, 'White Russian'). Officially, there was no state language in the Soviet Union until the very end when it was proclaimed in 1990 that Russian language was the all-Union state language and that the constituent republics had rights to declare additional state languages within their jurisdictions. Still it was implicitly understood in the hopes of minority nations that Ukrainian would be used in the Ukrainian SSR, Uzbek would be used in the Uzbek SSR, and so on. However, Russian was used in all parts of the Soviet Union and a special term, "a language of inter-ethnic communication", was coined to denote its status. Anti-russification protest. The banner reads "Ukrainian School for Ukrainian kids!". Major repression started in 1929–30, when a large group of Ukrainian intelligentsia was arrested and most were executed. In Ukrainian history, this group is often referred to as "Executed Renaissance" (Ukrainian: розстріляне відродження). "Ukrainian bourgeois nationalism" was declared to be the primary problem in Ukraine. The terror peaked in 1933, four to five years before the Soviet-wide "Great Purge", which, for Ukraine, was a second blow. The vast majority of leading scholars and cultural leaders of Ukraine were liquidated, as were the "Ukrainianized" and "Ukrainianizing" portions of the Communist party. Soviet Ukraine's autonomy was completely destroyed by the late 1930s. In its place, the glorification of Russia as the first nation to throw off the capitalist yoke had begun, accompanied by the migration of Russian workers into parts of Ukraine which were undergoing industrialization and mandatory instruction of classic Russian language and literature. Ideologists warned of over-glorifying Ukraine's Cossack past, and supported the closing of Ukrainian cultural institutions and literary publications. The systematic assault upon Ukrainian identity in culture and education, combined with effects of an artificial famine (Holodomor) upon the peasantry—the backbone of the nation—dealt Ukrainian language and identity a crippling blow. This sequence of policy change was repeated in Western Ukraine when it was incorporated into Soviet Ukraine. In 1939, and again in the late 1940s, a policy of Ukrainianization was implemented. 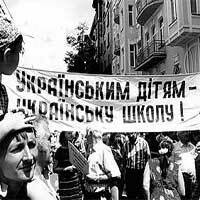 By the early 1950s, Ukrainian was persecuted and a campaign of Russification began. The Communist Party leader from 1963 to 1972, Petro Shelest, pursued a policy of defending Ukraine's interests within the Soviet Union. He proudly promoted the beauty of the Ukrainian language and developed plans to expand the role of Ukrainian in higher education. He was removed, however, after only a brief tenure, for being too lenient on Ukrainian nationalism. The new party boss from 1972 to 1989, Volodymyr Shcherbytsky, purged the local party, was fierce in suppressing dissent, and insisted Russian be spoken at all official functions, even at local levels. His policy of Russification was lessened only slightly after 1985. 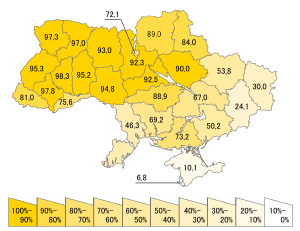 In the 2001 census, 67.5% of the country population named Ukrainian as their native language (a 2.8% increase from 1989), while 29.6% named Russian (a 3.2% decrease). For many Ukrainians (of various ethnic descent), the term native language may not necessarily associate with the language they use more frequently. The overwhelming majority of ethnic Ukrainians consider the Ukrainian language native, including those who often speak Russian. According to the official 2001 census data approximately 75% of Kiev's population responded "Ukrainian" to the native language (ridna mova) census question, and roughly 25% responded "Russian". On the other hand, when the question "What language do you use in everyday life?" was asked in the sociological survey, the Kievans' answers were distributed as follows: "mostly Russian": 52%, "both Russian and Ukrainian in equal measure": 32%, "mostly Ukrainian": 14%, "exclusively Ukrainian": 4.3%. Ukrainian language traffic sign for the Ivan Franko Museum in Kryvorivnia. Oleksa Horbach's 1951 study of argots analyzed sources (argots of professionals, thugs, prisoners, homeless, school children, etc.) with special attention to an etymological analysis of argots, ways of word formation and borrowing depending on the source-language (Church Slavonic, Russian, Czech, Polish, Romani, Greek, Romanian, Hungarian, German). (4) Middle Dnieprian is the basis of the Standard Literary Ukrainian. It is spoken in the central part of Ukraine, primarily in the southern and eastern part of the Kiev Oblast. In addition, the dialects spoken in Cherkasy, Poltava, and Kiev regions are considered to be close to "standard" Ukrainian. Ukrainian is a fusional, nominative-accusative, satellite framed language. It exhibits T-V distinction, and is null-subject. The canonical word order of Ukrainian is SVO. Other word orders are usual due to the free word order created by Ukrainian's inflectional system. Nouns decline for 7 cases: nominative, accusative, genitive, dative, instrumental, locative, vocative; 3 genders: masculine, feminine, neuter; and 2 numbers: singular, plural. Adjectives agree with nouns in case, gender, and number. Verbs conjugate for 3 tenses: past, present, future; 2 voices: active, mediopassive, 3 persons: first, second, third; and 2 numbers, singular, and plural. Ukrainian verbs come in aspect pairs: perfective, and imperfective. Pairs are usually formed by a prepositional prefix and occasionally a root change. The past tense agrees with its subject in number and gender, having developed from the perfect participle. The Old East Slavic and Russian o in syllables ending in a consonant, often corresponds to a Ukrainian i, as in pod > pid (під, 'under'). Thus, in the declension of nouns, the o can re-appear as it is no longer located in a closed syllable, such as rik (рік, 'year') (nom): rotsi (loc) (році). Similarly, some words can have і in some declensions when most of the declension have o, for example слово (nominative singular), слова (nominative plural) but слiв (genitive plural). Ukrainian case endings are somewhat different from Old East Slavic, and the vocabulary includes a large overlay of Polish terminology. Russian na pervom etaže 'on the first floor' is in the locative (prepositional) case. The Ukrainian corresponding expression is na peršomu poversi (на першому поверсі). -omu is the standard locative (prepositional) ending, but variants in -im are common in dialect and poetry, and allowed by the standards bodies. The kh of Ukrainian poverkh (поверх) has mutated into s under the influence of the soft vowel i (k is similarly mutable into c in final positions). The Ukrainian language has six vowels, /i, u, ɪ, ɛ, ɔ, a/. The phonemes [d͡z] and [d͡ʒ] do not have dedicated letters in the alphabet and are rendered with the digraphs дз and дж, respectively. [d͡z] is equivalent to English ds in pods, [d͡ʒ] is equivalent to j in jump. The Ukrainian language, in common with all modern Slavic languages other than Bulgarian and Macedonian, does not use articles. Other Slavic o in closed syllables, that is, ending in a consonant, in many cases corresponds to a Ukrainian i, as in pod > pid (під, 'under'). This also includes place names such as Lviv (Львів in Ukrainian) - Lwów in Polish and Львов (Lvov) in Russian. ^ "Ukrainisch". Forschungsverbund Ost- und Südosteuropa. Retrieved 3 December 2018. ^ "Ukrainian". About World Languages. 18 February 2016. Retrieved 14 March 2019. ^ The status of Crimea and of the city of Sevastopol is since March 2014 under dispute between Russia and Ukraine; Ukraine and the majority of the international community consider Crimea to be an autonomous region of Ukraine and Sevastopol to be one of Ukraine's cities with special status, whereas Russia considers Crimea to be a federal subject of Russia and Sevastopol to be one of Russia's three federal cities. ^ a b c d e f "List of declarations made with respect to treaty No. 148 (Status as of: 21/9/2011)". Council of Europe. Retrieved 2012-05-22. ^ "National Minorities Policy of the Government of the Czech Republic". Vlada.cz. Retrieved 2012-05-22. ^ Hammarström, Harald; Forkel, Robert; Haspelmath, Martin, eds. (2017). "Ukrainian". Glottolog 3.0. Jena, Germany: Max Planck Institute for the Science of Human History. ^ a b Alexander M. Schenker. 1993. "Proto-Slavonic," The Slavonic Languages. (Routledge). Pp. 60–121. Pg. 60: "[The] distinction between dialect and language being blurred, there can be no unanimity on this issue in all instances..."
^ "Ukrainian language". Encyclopædia Britannica. 23 May 2014. Retrieved 8 May 2016. ^ a b "Юрій Шевельов. Історична фонологія української мови". Litopys.org.ua. 1979. Retrieved 8 May 2016. ^ Nimchuk, Vasyl'. Періодизація як напрямок дослідження генези та історії української мови. Мовознавство. 1997.- Ч.6.-С.3–14; 1998. ^ "Григорій Півторак. Походження українців, росіян, білорусів та їхніх мов". Litopys.org.ua. Retrieved 2012-05-22. ^ "Мова (В.В.Німчук). 1. Історія української культури". Litopys.org.ua. Retrieved 2012-05-22. ^ Абаев В. И. О происхождении фонемы g (h) в славянском языке // Проблемы индоевропейского языкознания. М., 1964. С. 115—121. ^ Майоров А.В. Великая Хорватия: Этногенез и ранняя история славян Прикарпатского региона. СПб. : Изд-во С.-Петерб. ун-та, 2006. ISBN 5-288-03948-8. С. 102. ^ Эдельман Д. И. К происхождению ирано-славянских диахронических паралелей // Славянская языковая и этноязыковая системы в контакте с неславянским окружением. М., 2002. С. 76—77. ^ "Лаврентій Зизаній. "Лексис". Синоніма славеноросская". Litopys.org.ua. Retrieved 2012-05-22. ^ Yaroslav Hrytsak. "On Sails and Gales, and Ships Driving in Various Directions: Post-Soviet Ukraine as a Test Case for the Meso-Area Concept". In: Kimitaka Matsuzato ed. Emerging meso-areas in the former socialist countries: histories revived or improvised?. Slavic Research Center, Hokkaido University. 2005. p. 57. ^ "The Polonization of the Ukrainian Nobility". Mywebpages.comcast.net. Archived from the original on 2002-06-02. Retrieved 2012-05-22. ^ Geoffrey Hull, Halyna Koscharsky. "Contours and Consequences of the Lexical Divide in Ukrainian". Australian Slavonic and East European Studies. Vol. 20, no. 1-2. 2006. pp. 140–147. ^ "XII. СКОРПІОНИ НА УКРАЇНСЬКЕ СЛОВО. Іван Огієнко. Історія української літературної мови". Litopys.org.ua. Retrieved 2012-05-22. ^ Luckyj 1990, pp. 24–25. ^ "Демоскоп Weekly – Приложение. Справочник статистических показателей". Demoscope.ru. Retrieved 2012-05-22. ^ "Law on Languages of Nations of USSR". Legal-ussr.narod.ru. 1990-04-24. Archived from the original on 2016-05-08. Retrieved 2012-05-22. ^ Farmer, K.C. (2012). Ukrainian Nationalism in the Post-Stalin Era: Myth, Symbols and Ideology in Soviet Nationalities Policy. Springer Science & Business Media. p. 241. ^ "Welcome to Ukraine (See above)". Retrieved November 19, 2005. ^ a b George Shevelov. (1981). Evolution of the Ukrainian Literary Language. From Rethinking Ukrainian History. (Ivan Lysiak Rudnytsky, John-Paul Himka, editors). Edmonton, Alberta: University of Alberta, Canadian Institute of Ukrainian Studies, pp. 221–225. ^ Horbach, Oleksa (1951). "Argot in Ukraine". habilitation thesis, Ukrainian Free University in Munich. ^ "Діалект. Діалектизм. Українська мова. Енциклопедія". Litopys.org.ua. Retrieved 2012-05-22. ^ "Інтерактивна мапа говорів. Українська мова. Енциклопедія". Litopys.org.ua. Retrieved 2012-05-22. ^ "Північне наріччя. Українська мова. Енциклопедія". Litopys.org.ua. Retrieved 2012-05-22. ^ "ІЗБОРНИК. Історія України IX-XVIII ст. Першоджерела та інтерпретації. Нульова сторінка". Litopys.org.ua. Retrieved 2012-05-22. ^ "Середньополіський говір. Українська мова. Енциклопедія". Litopys.org.ua. Retrieved 2012-05-22. ^ "Maps of Belarus: Dialects on Belarusian territory". Belarusguide.com. Retrieved 2012-05-22. ^ "Південно-східне наріччя. Українська мова. Енциклопедія". Litopys.org.ua. Retrieved 2012-05-22. ^ "Слобожанський говір. Українська мова. Енциклопедія". Litopys.org.ua. Retrieved 2012-05-22. ^ "Степовий говір. Українська мова. Енциклопедія". Litopys.org.ua. Retrieved 2012-05-22. ^ "Mapa ukrajinskich howoriv". Harazd.net. Retrieved 2012-05-22. ^ "Південно-західне наріччя. Українська мова. Енциклопедія". Litopys.org.ua. Retrieved 2012-05-22. ^ "Подільський говір. Українська мова. Енциклопедія". Litopys.org.ua. Retrieved 2012-05-22. ^ "Короткий словник львівської ґвари". Ji.lviv.ua. Retrieved 2012-05-22. ^ "Ethnologue report for Russian Federation (Asia)". Ethnologue.com. Retrieved 2012-05-22. ^ Население Российской Федерации по владению языками (in Russian). ^ "Various Languages Spoken". Statistics Canada. 2001. Retrieved 2008-02-03. ^ "Detailed Language Spoken at Home". Statistics Canada. 2001. Retrieved 2008-02-03. ^ Mother tongue "refers to the first language learned at home in childhood and still understood by the individual at the time of the census." More detailed language figures are to be reported in December 2007. Statistics Canada (2007). Canada at a Glance 2007, p. 4. ^ Неофициальный сайт Президента ПМР. "The Constitution of Transnistria, Article 12". President-pmr.org. Retrieved 2012-05-22. ^ "Stechishin-1958". Wals.info. Retrieved 2012-05-22. ^ Magocsi 1996, pp 567, 570–71. ^ David Dalby. 1999/2000. The Linguasphere Register of the World's Languages and Speech Communities (The Linguasphere Observatory), Volume Two, pg. 442: "53-AAA-e, Russkiy+Ukrainska"
^ a b c d e f J. B. Rudnyckyj. (1963) . The Position of the Ukrainian Language among the Slavic languages. In Ukraine: A concise Encyclopedia. Toronto: University of Toronto Press. pp. 445–448. ^ Andrii Danylenko. Is There Any Inflectional Future in East Slavic? A Case of Ukrainian against Romance Reopened. Journal of the Slavic Research Center at Hokkaido University, 2007. PP. 147 - 177. Korunets', Ilko V. (2003). Contrastive Topology of the English and Ukrainian Languages. Vinnytsia: Nova Knyha Publishers. ISBN 966-7890-27-9. Конституція України (Constitution of Ukraine), 1996, rada.kiev.ua (in Ukrainian) English translation (excerpts), rada.kiev.ua. This page was last edited on 25 April 2019, at 18:38 (UTC).